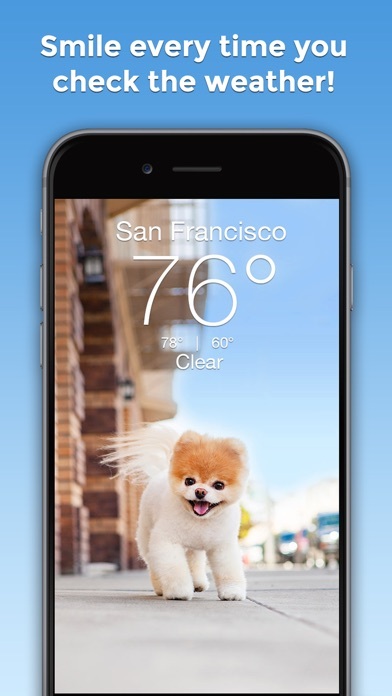 Smile every time you check the weather with Boo! 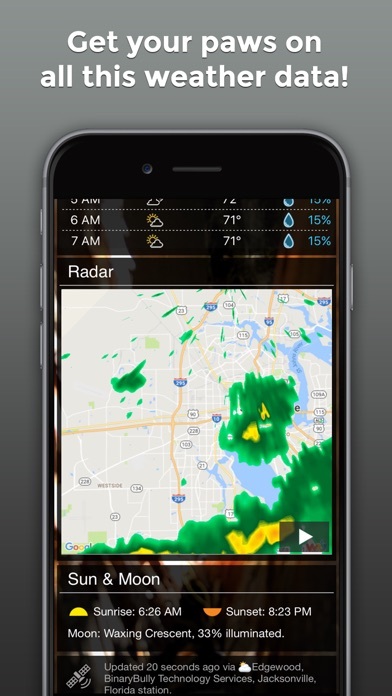 He changes based on the weather and time of day. 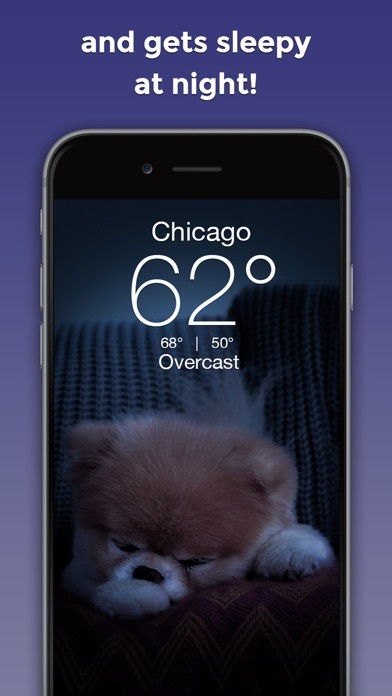 Features - Weather forecasts from around the world - 7 day weather forecast - Hourly weather - Today's high and low, feels like, humidity, wind, sunrise/set and more - GPS - Animated Radar - Share your fur-cast with friends on Facebook, Instagram & Twitter The weather has never been cuter! 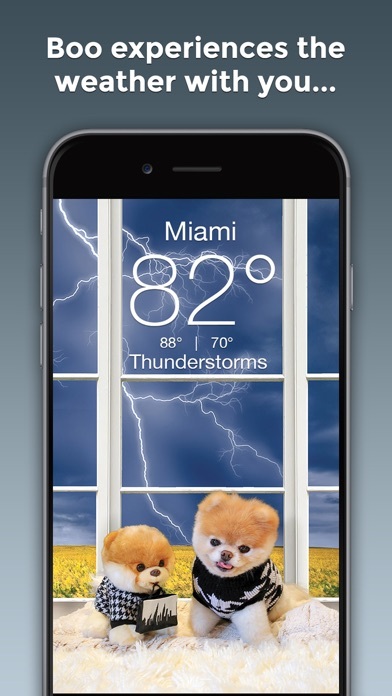 Pomeranian Boo makes me happy even if the forecast is rain Adorable pictures, halfway decent weather predictability. 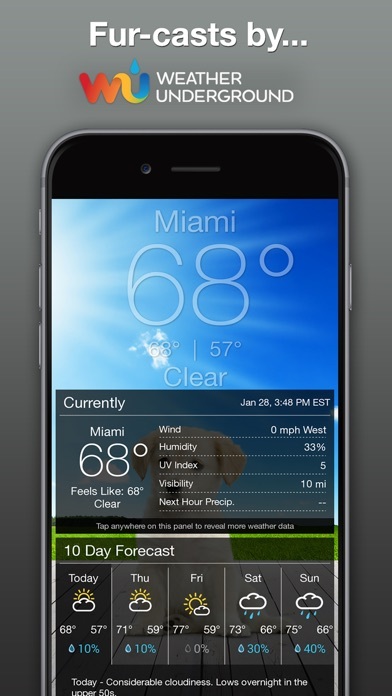 Great app... accurate and easy to use. Really enjoy seeing Boo!